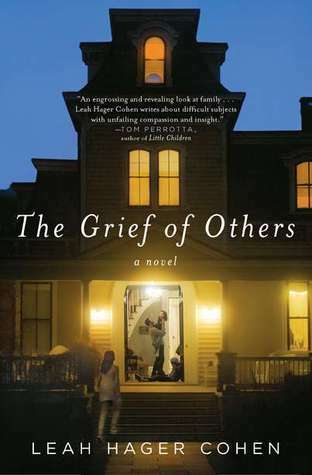 Review: The Grief of Others | The things they read. At first the persistent voice of the narration bothered me. Who thinks kids actually think like this? I wondered. Eventually the beauty of the language is forgivable, the depth of perception becomes the norm, and I was able to enjoy the at times unbelievable observations of the youngsters. First, the catalyst. The answer to why is this story being told? Ricky Ryrie has given birth to a child who died within 24 57 hours (thanks, Eileen!) due to a prediagnosed condition that she did not tell her husband about. There are betrayals — both monumental and miniscule — and Cohen reminds us that often there is no difference between the two. Betrayal is betrayal. Self-fulfilling prophecies, by title, are half fulfilled by the confidence you place in them. Sometimes what causes more disaster is what you do not do. 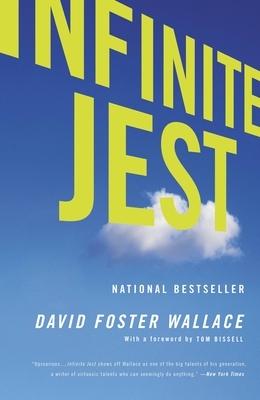 What really made my heart cling to this novel were the humdingers of human observation. It’s the way we are, as we are when we are not at our best. Now driving was a drudge, something she’d grown to detest. The wasted hours, the isolation, the unvarying commute back and forth across the river — it had become the opposite of motion, had become the very emblem of her stasis. Cohen is skillful at presenting Ricky, the mother, from all angles. When her husband John is the victim, when Ricky is reprehensible, there is Cohen saying Not so fast, reminding us of the complex nature of human character. Reminding us how many times we, too, have begged the benefit of the doubt. How we are nothing but bundles of needs — pulling and pushing to get what we want while giving what we can, trying our best not to disappoint others or ourselves. One scene in particular, a flashback to a vacation that lives on a pedestal of everyone’s memory, shows the push and pull of our inner selves. John has vomited on the stone path in front of their cottage, and Ricky contemplates feeling small around her father. She vows, inwardly, to always see “the large” in her husband. Lugging it back to the cabin, she feels her shoulder being pulled earthward, has a graphic sense of the muscle within the casing of skin, the ligaments and bone. Her burden relieves her; she is as light — as happy — as she’s been all day. She pours the lake water back and forth over the door stone, washing it clean. Ricky looks for her own forgiveness in her ability to forgive others. She feels best when she is making room, sacrificing, and being a bigger person. She must prove to herself, rather than to others, that she is greater than the sum of her mistakes. That her relationship and her ability to love are greater than the sum of her betrayals, her selfishness. There is a moment when Ricky watches Paul, her son, and Jess, John’s long lost daughter, at Cabruda Lake, a vacation that remains “emblazoned like postcards she will one day look back on” that she comes to “the realization that of all the innumerable sweetnesses the world will offer her children, the vast majority will go unwitnessed by her.” It is these small reminders that we must relinquish any vestige of belief that we have control that lead Ricky to what resembles healing in the end. The Grief of Others is a case study of a group of people learning their limits and, as a result, their possibilities. Thank you! One of the consequences of returning the book to the library before finishing the review.